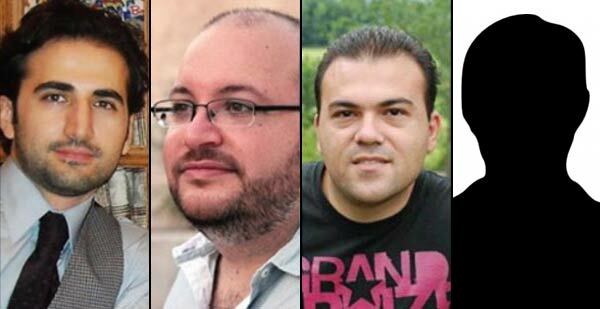 “The agreement to free Americans imprisoned in Iran* - Jason Rezaian, Amir Hekmati and Saeed Abedini - is a triumph of diplomacy that should be universally commended. Now, the freed Americans can be reunited with their families and friends after an extraordinarily trying time for everyone involved. We hope that they find solace in their freedom from the turmoil that they endured. “The release of these imprisoned Americans was long overdue. However, it is unlikely that we would be celebrating their release today if not for an improvement in diplomatic relations between the U.S. and Iran brought about by the Joint Comprehensive Plan of Action (JCPOA). The U.S. and Iran should deepen their engagement on the serious issues that continue to separate the two countries so that further pragmatic solutions can be reached. NIAC also calls on the Iranian government to ensure that Iranian Americans are not threatened when traveling to Iran and that protections are put in place to ensure these detentions never happen again. “The release of earlier Western prisoners in Iran - including the three American hikers Shane Bauer, Josh Fattal and Sarah Shourd - was never due to bombastic threats, but instead to patient diplomacy. Though it was difficult, the Obama administration was right to avoid issuing ultimatums and linking the fate of the imprisoned Americans to the nuclear negotiations, which would threaten the outcome of both. “The conclusion of the JCPOA altered dynamics in favor of the release of the imprisoned Americans in at least three key ways. First, Secretary of State John Kerry and Iranian Foreign Minister Javad Zarif developed a strong working relationship that has now resulted in diplomatic victories on a number of fronts. From the nuclear issue, to de-conflicting this week’s naval incident, to securing the prisoner swap, Kerry and Zarif have shown the true power of diplomacy. A real test for the U.S. and Iran will be whether this strong personal relationship can be institutionalized. “Second, establishing a relationship between the U.S. and Iran - even in lieu of formal diplomatic ties - has provided real mechanisms for accountability on both sides. It is far easier to detain prisoners in a vacuum than to imprison the citizens of a country with which you have a relationship. “Third, the JCPOA has changed the political dynamics inside of both countries, making what was previously inconceivable possible. The nuclear deal has undoubtedly strengthened the hand of moderate voices inside of Iran and increased the latitude for actions such as the release of these American prisoners. Efforts to undermine moderate voices will undoubtedly continue as the various factions jockey for the upper-hand. However, there is now a clear path to greater accountability and rule of law inside an Iran whose government begins to reflect the true wishes of its dynamic people. “Had the administration listened to the opponents and issued brash ultimatums, none of these dynamics would have emerged and in all likelihood the prisoners would not be free. “There have been many persistent critics of President Obama and his administration for its commitment to diplomacy with Iran. Some of these critics have worked endlessly to try to subvert the President’s diplomatic efforts. The release of these Americans is the result of that diplomacy, not of threats and sanctions. This should be yet further evidence to the American public that diplomacy is not appeasement; it is the serious, sober approach to solving real problems. Those leaders with the courage to embrace this approach should have the strong backing of the American people. “While this diplomatic victory should be celebrated, it is impossible to ignore the ongoing systemic human rights violations in Iran. Recent arrests of activists and artists appear aimed at intimidating reformists and moderates ahead of key elections to Iran’s parliament and Assembly of Experts. Further, an ongoing rise in executions - often for nonviolent drug-related offenses - must be halted without delay. We hope that the moderation that has dramatically impacted Iran’s external relations can now shift inward to produce lasting change. *NIAC had earlier been informed that Siamak Namazi was included in the swap. Later reports have contradicted that. At this point, it is not entirely clear whether Namazi is part of the swap or if his presumed release is outside of this prison exchange.